This isn’t the first time we have seen photos of the new HTC Holiday, back in August we saw some initial photos of the Holiday, and then some more later in the month, but these are probably the clearest photos we have seen so far. The guys over at the BGR have obtained a new bunch of photos of the HTC Holiday, and we get a good look at the device as well as some more information on its specifications. 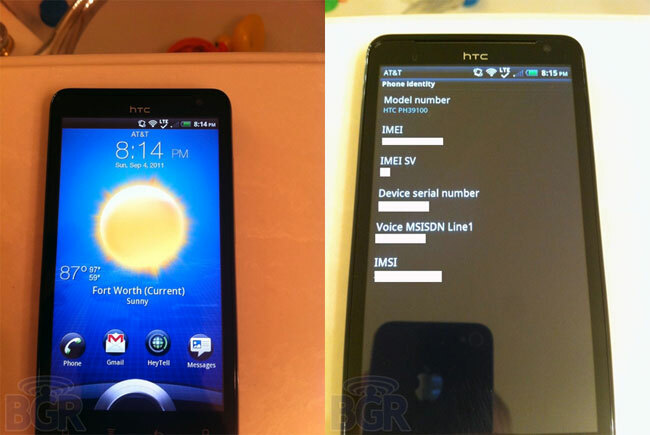 As you can see from the photo, the HTC Holiday is running Android 2.3.4 Gingerbread, and it is headed to AT&T, and will be a 4G LTE enabled device. Other specifications on the HTC Holiday include a dual core 1.2GHz processor, a 4.5 inch qHD display and an 8 megapixel camera, we still don’t have any information on when the HTC Holiday will be available. Head on over to the Boy Genius Report for lots more photos of the HTC Holiday.